Ask any parent and they’ll tell you there’s a certain art to packing the perfect brown bag. It needs to be healthy, but also delicious enough that kids won’t trade it for cheese puffs or toss it in the trash when they see what’s inside. 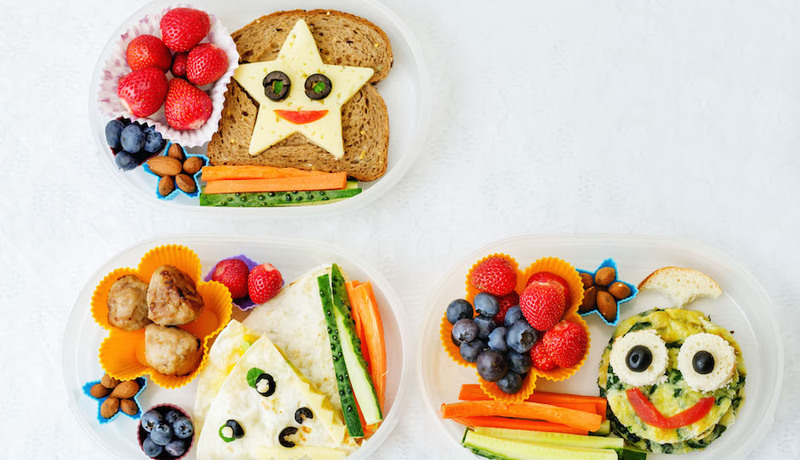 So, how does one master the art of making appealing and delicious packed school lunches? The key is Balance! This means balancing not only carbohydrates, fats, and protein, but also balancing food groups like fruits, vegetables, and grains. Hot dogs, ham, bacon, sausages and some deli meats are just a few of items that are best to leave out of your child’s lunchbox. These cured and processed meats have been classified as carcinogens by the World Health Organization and the International Agency for Research on Cancer. Pack this: Try an alternative protein source like egg salad, hummus, or a veggie pattie on a whole wheat bun with a slice of tomato and lettuce. Serve with a side of carrot sticks and a ranch dipping sauce. Include grapes or berries to get a serving of fruit in the mix. Whole wheat breads, wraps, and crackers contain more fiber and protein than their refined counterparts. Just beware of honey wheat or brown bread options as these are often made with mostly refined wheat flour. Pack this: Wrap shredded chicken in a whole wheat wrap, add mashed or sliced avocado, lettuce, tomato, salsa and a sprinkle of cheese. Serve with a side of sliced mango. Approximately half of all calories in your child’s lunch should come from carbohydrates. Try including whole grain breads and crackers, plus remember: Half of each meal needs to be fruits and vegetables. Pack this: Give your child the chance to assemble his or her lunch. Pack whole wheat crackers, sliced fresh turkey, cheese, cucumbers, and hummus. Kids can stack, dip, or eat separately for a fun and nutritious lunch. Include a side of grapes for their treat. Make a masterpiece for dinner? Serve it up again! Leftovers from dinner, like pasta, stir-fry, or soup or chili tend to be more wholesome and filling than reworking the same sandwich over and over again. Pack this: Include a serving of leftovers from dinner the night before. Include string cheese for a calcium-rich pairing and fruit like apple or orange slices for a sweet treat. Nothing beats a classic. Try this healthier version that skips the sugary jams and focuses on healthy fats. Pack this: On whole wheat bread or a wrap, add the nut butter of your choice (try almond, cashew, sunflower, or the classic peanut), sliced banana, and a dash of cinnamon. Serve with a side of mixed berries and yogurt. Yogurt is a great protein source and pairs well with a tart fruit. For more information on crafting healthy meals and fostering healthy habits in kids, visit St. Christopher’s Hospital.